Julie has been amazed at how powerful it is to intentionally speak God's blessing to someone's spirit! She has started to speak blessings to her 3 little girls each day and friends in Ocean View...who are now speaking these blessings over their children! Since Julie started reading these blessings to Emme - her teachers have said, "Who is this kid you have brought back to school this year? Her development has really improved!" "(Jensen, Emmerson, Adison) you are a very special person, created and crafted and designed by God your Father. Before the foundation of the world, your Father planned for you. You are no accident. You did not have to exist, but your Father willed you into existence. Your Father wove it all together and gave you everything you need in the package of your life to be an overcomer, a victor, to take the negative parts of your heritage and triumph over them, to walk in the beauty of all that God has placed within you." What does every young soccer player love more than anything else? For this year's pre-season event, we held STRIKER CAMP (inspired by John Keating), and the boys had a blast shooting and scoring (well, the goalkeepers probably could have thought of a better theme)! 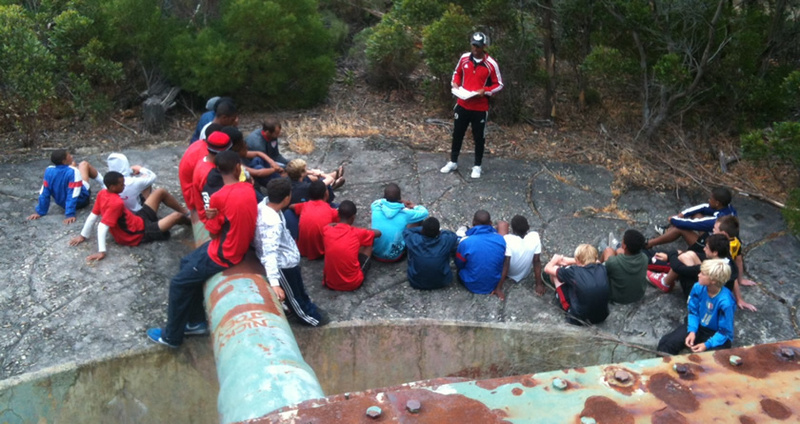 We held life-skills break out sessions (on health topics and character development) and enjoyed Bible devotionals daily. The boys and coashes continue to bond together as family! 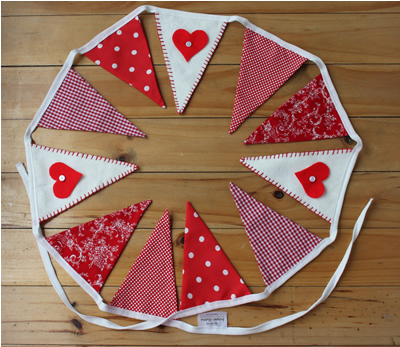 January 12th - Wish you had ordered bunting? Our Hope-tions shop is currently closed! When will we re-open? Our shop had been so busy that Julie has decided she needs more help before she opens it open again! We will be able to re-open in 2013 once we have a larger team to help run Hope-tions! Note: We do have a few bunting banners left. Email to find out what's still in stock! 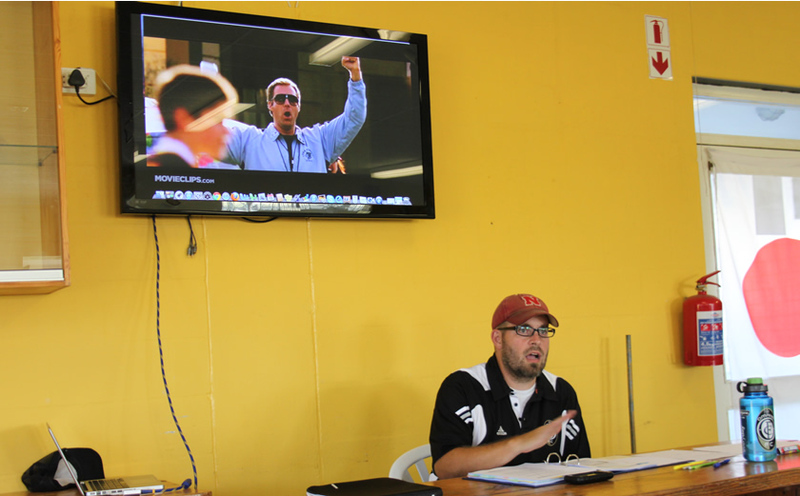 20 coaches signed up for Karl's second coaching education class! It's so exciting to see these men better equipped to mentor boys in our community! Karl was also recently asked to join a group of international sports coaches who are developing curriculum for adapting a holistic biblical approach to coaching. Karl is showing a scene from the movie "Kicking and Screaming"